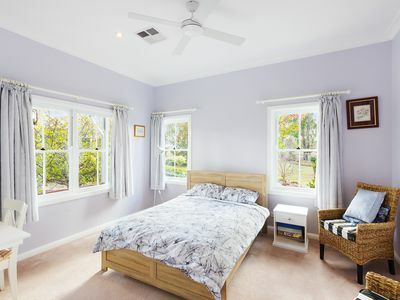 Set in a whisper quiet location on a premier street, this picture-perfect property offers generous light-filled rooms, plenty of living and entertaining space, and quality amenities throughout. 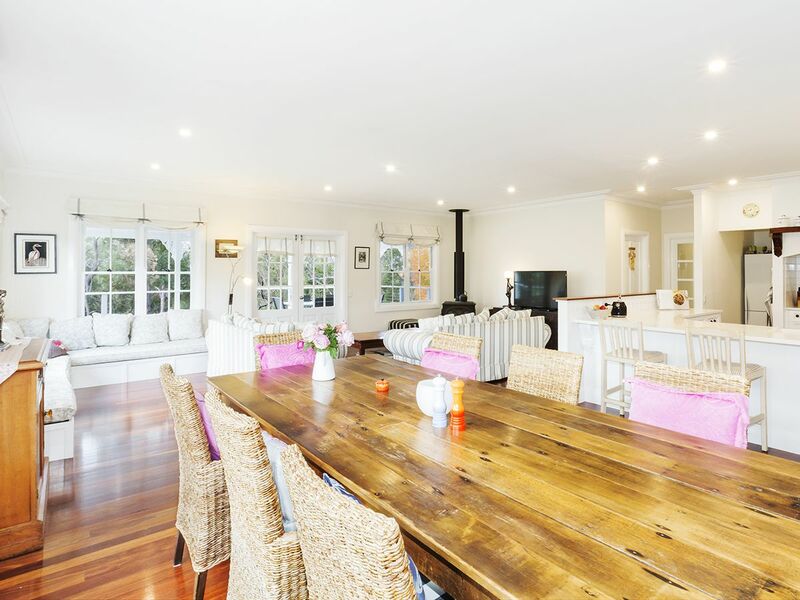 Owner designed and custom-built, this is the first time this property will have been on the market; a well-loved and beautifully maintained family home set on a breath-taking 7,162m2 (approx.) 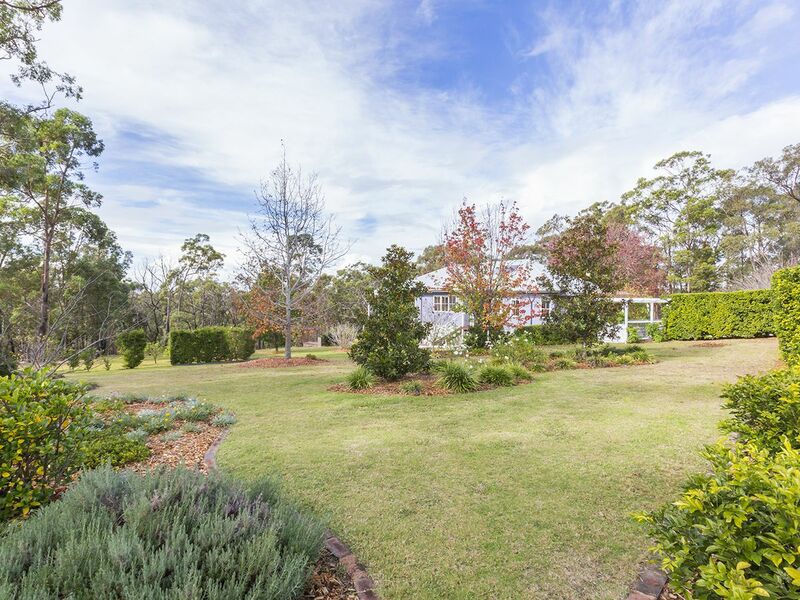 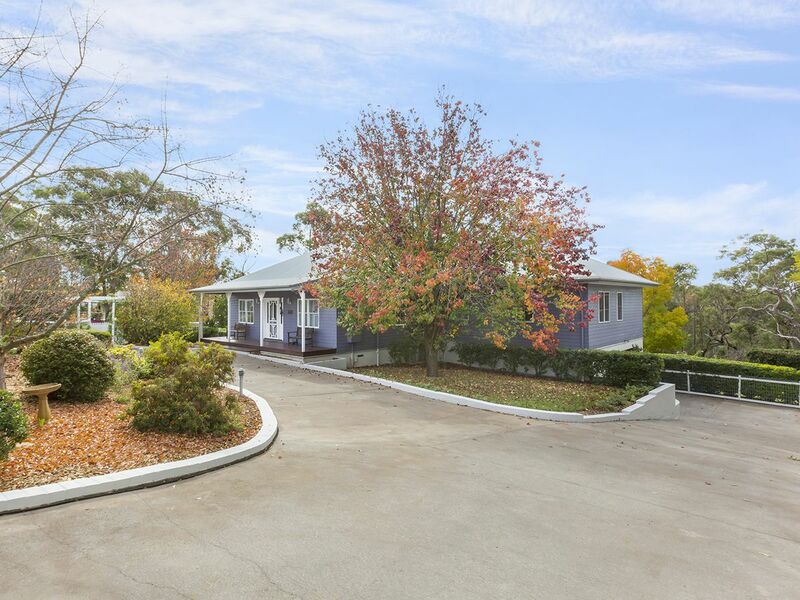 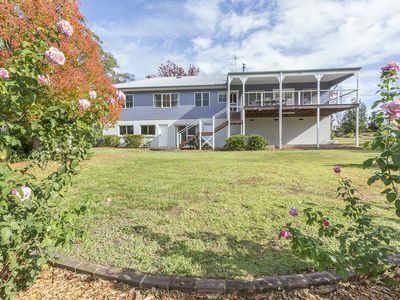 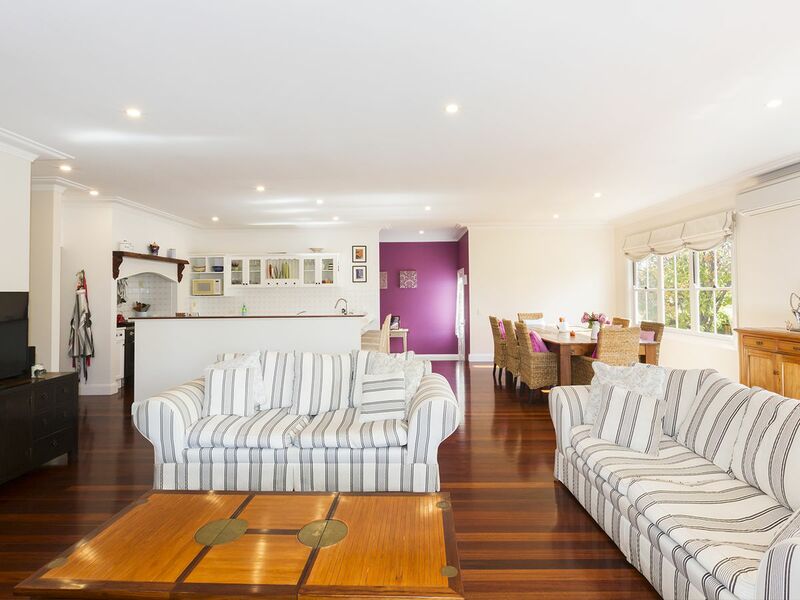 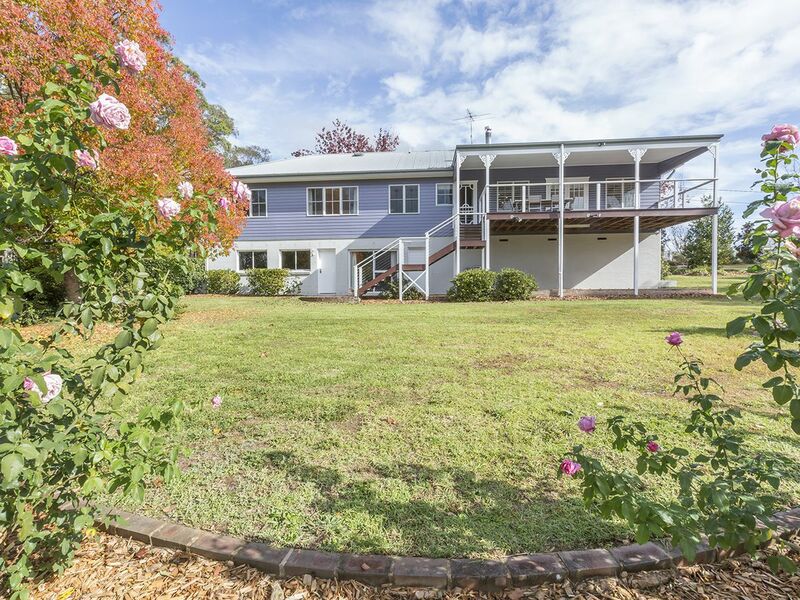 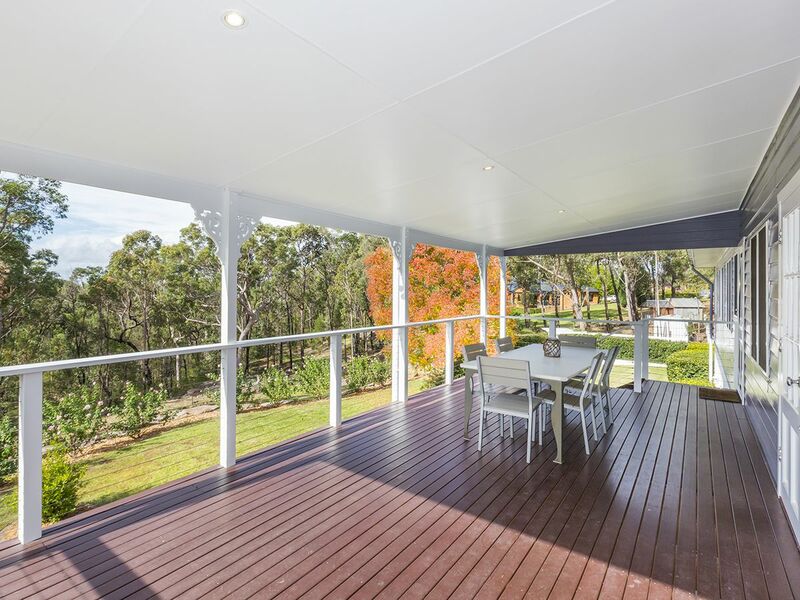 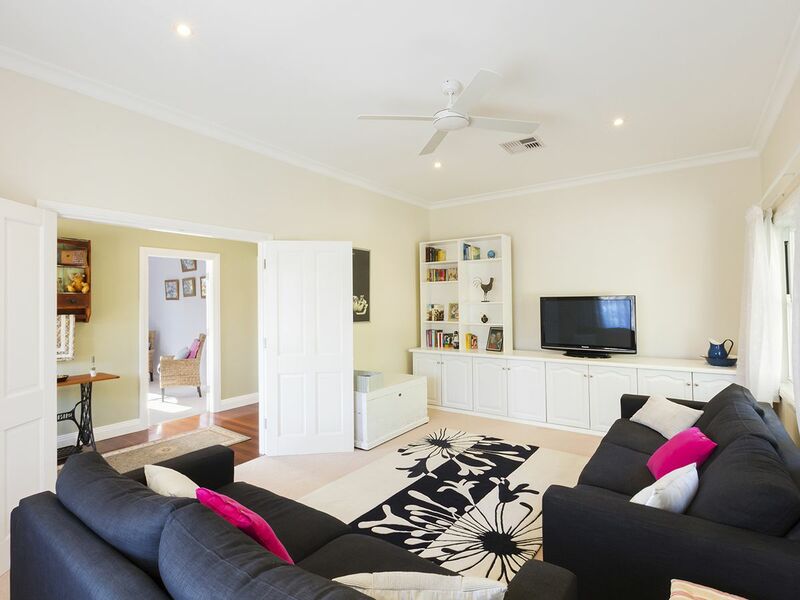 block of lush sweeping lawns and manicured gardens backing on to natural bushland. 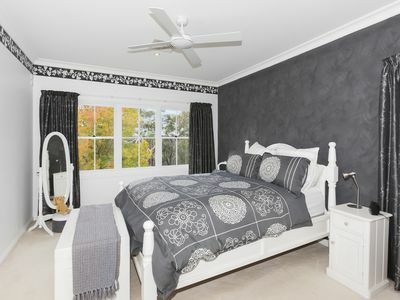 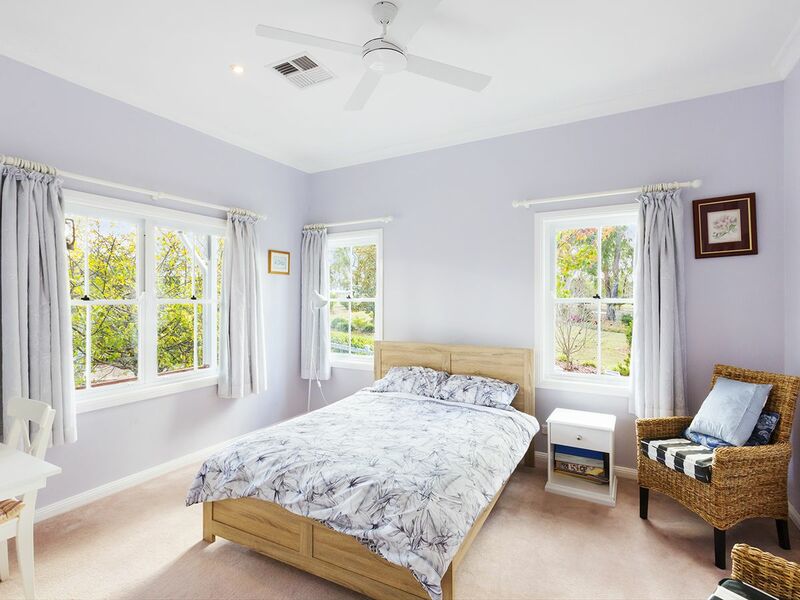 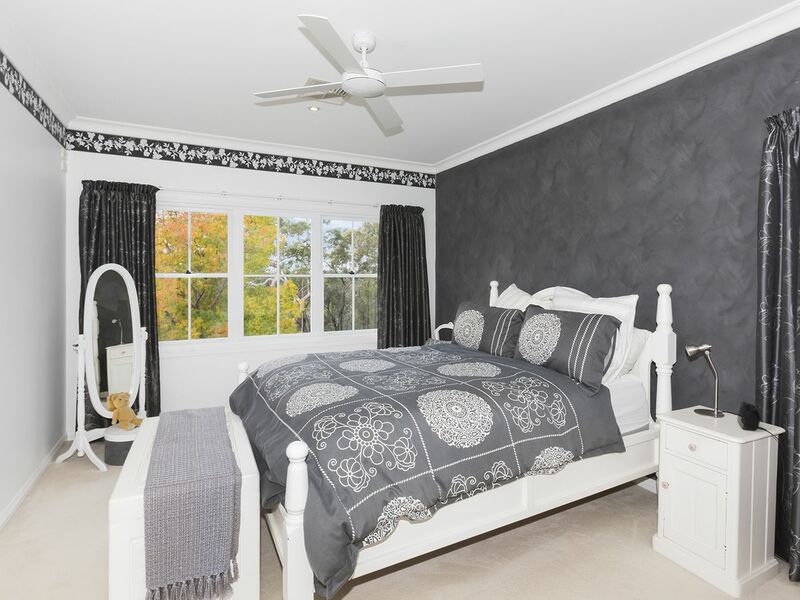 All bedrooms offer a ceiling fan, with three of the four containing a built-in wardrobe including the master bedroom which features a fitted-out walk-in wardrobe and an en-suite bathroom. 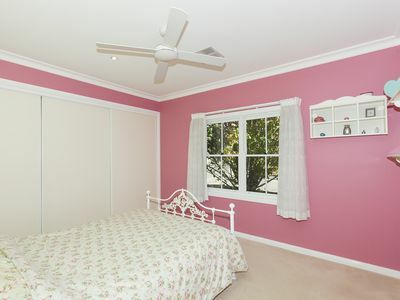 The fourth bedroom is set away from the others, making it ideal for use as a guest bedroom. 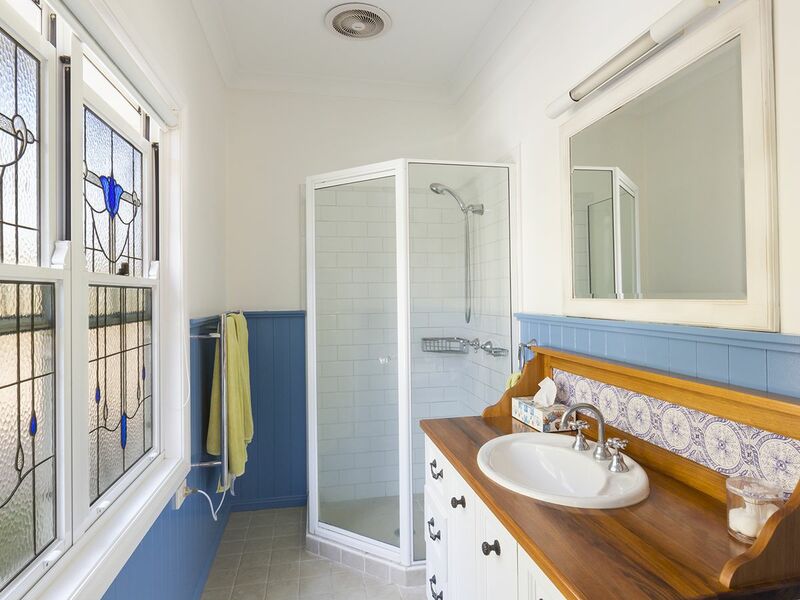 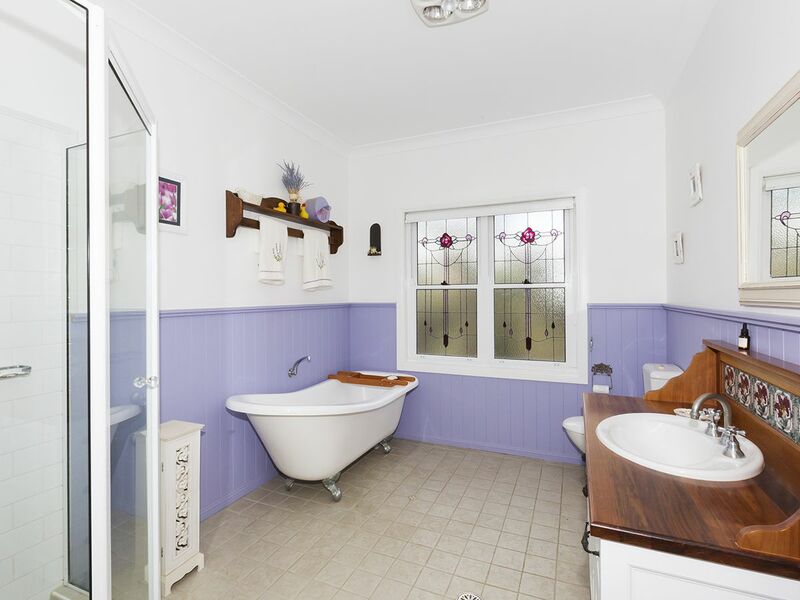 The exquisite family bathroom is a fantastic size, offering a standalone bathtub and separate shower recess. 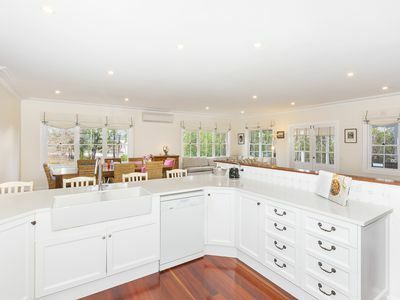 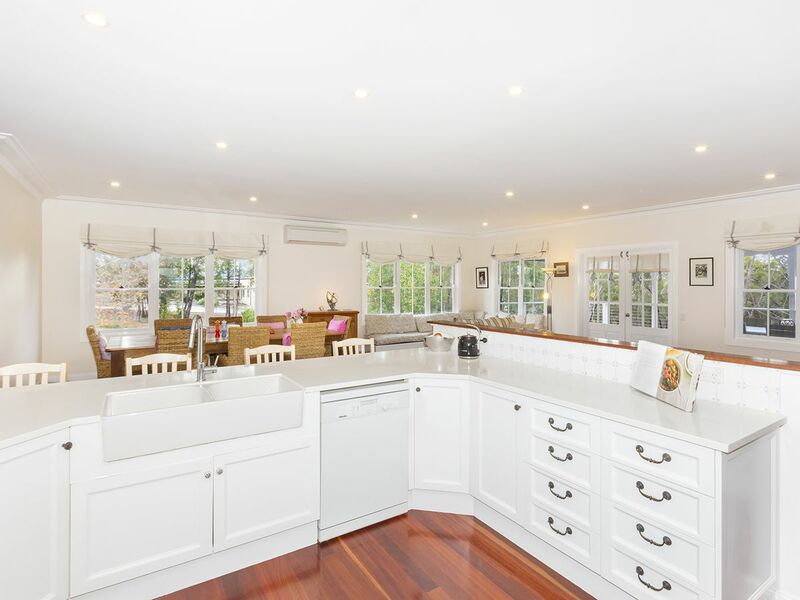 The kitchen, dining, and family room sits in a spectacular open plan; incredibly spacious and filled with natural light this space takes in the surrounding grounds to offer a verdant outlook. 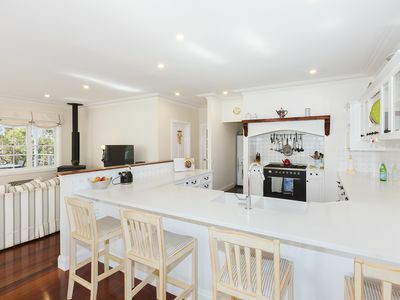 The gourmet country-style kitchen contains caesarstone benchtops, a butler’s pantry, a 5 burner gas cooktop, and a dishwasher. The family area features a built-in corner daybed as well as a cosy slow combustion fireplace and opens out to the covered outdoor entertaining area. A lounge sits separate from this living space, and could also be used as a more formal living area, a kids play room, or a media room. 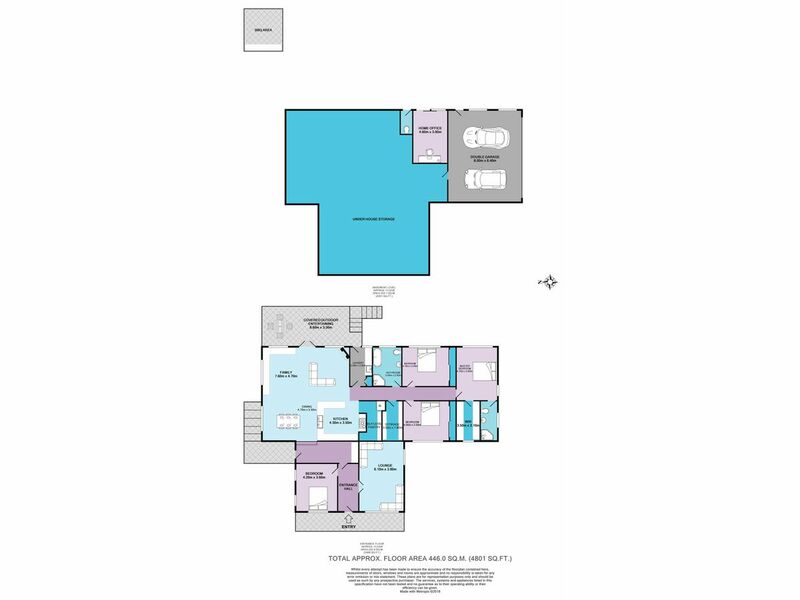 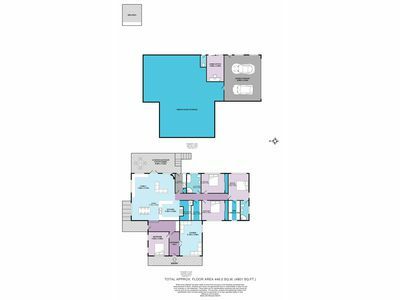 The lower level of the home contains a home office with separate entry, a toilet, and a huge double garage with access to extensive useable under house storage. Additional features to note include: ducted air conditioning to lounge and bedrooms; split system air-conditioning to family/dining/kitchen; loads of storage space; LED downlights throughout; hardwood timber floors; paved BBQ area with built-in BBQ. 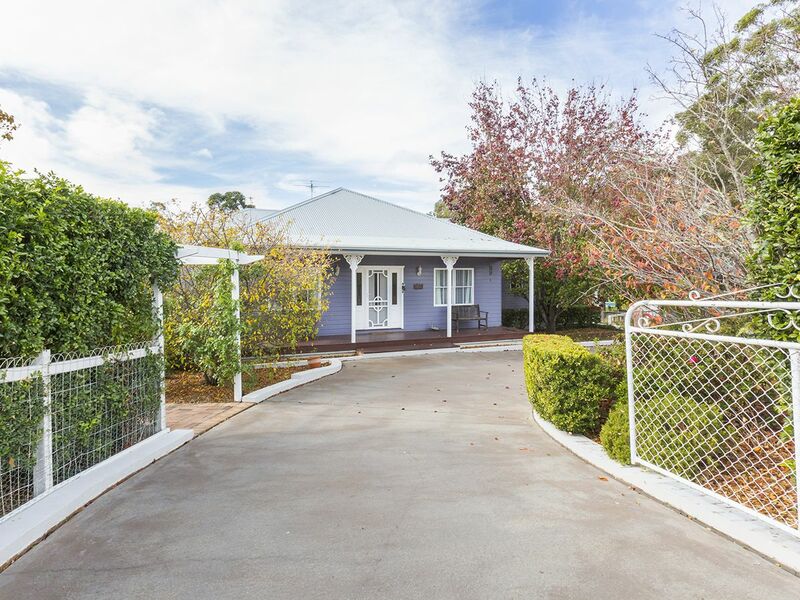 Please contact Lister & Cole Estate Agents for further details on this exquisite property; set in a semi-rural locale yet just minutes’ drive to Winmalee Shopping Village and quality local schools.